If you are looking to do something special, that unique experience you’ll remember for years, a fabulous get away, in a marvelous location: La Haut ticks all the boxes! 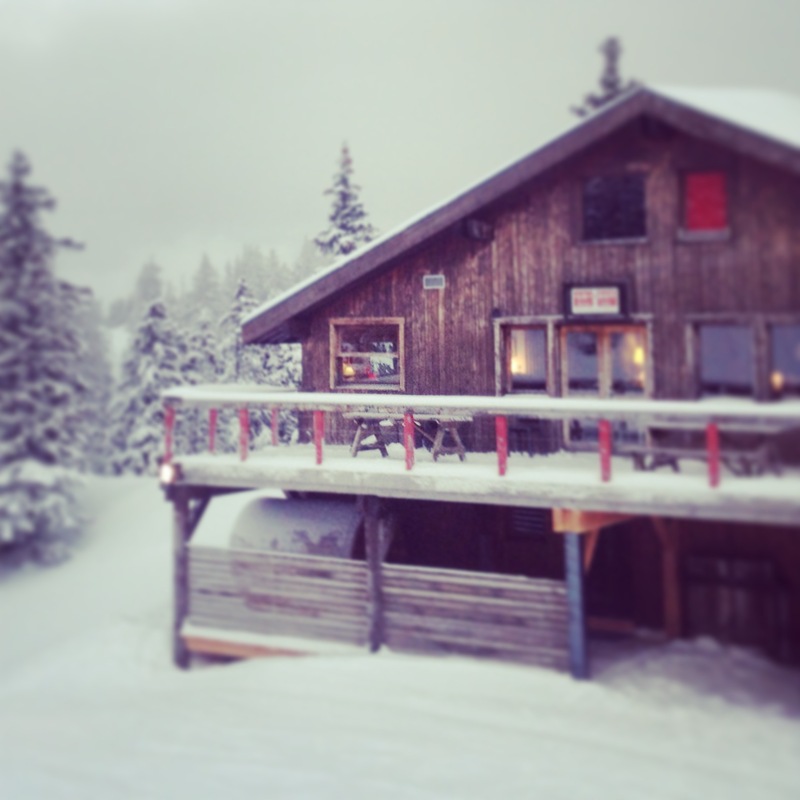 La Haut offers a unique experience in a stunning mountain setting. 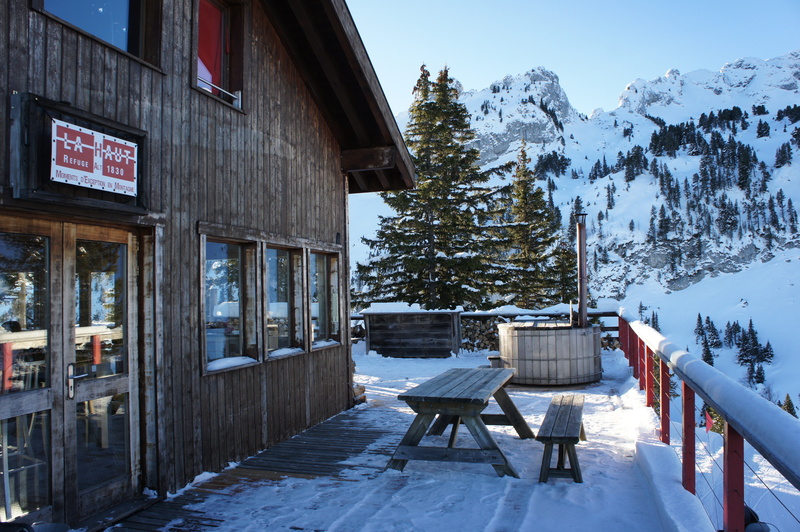 The refuge is located at 1850 m, at the top of la Sambuy ski resort. Privately nestled in the trees, the refuge boasts a 360 ° panoramic views on the surrounding mountains – Mont Blanc, Annecy and the Vanoise national Park. 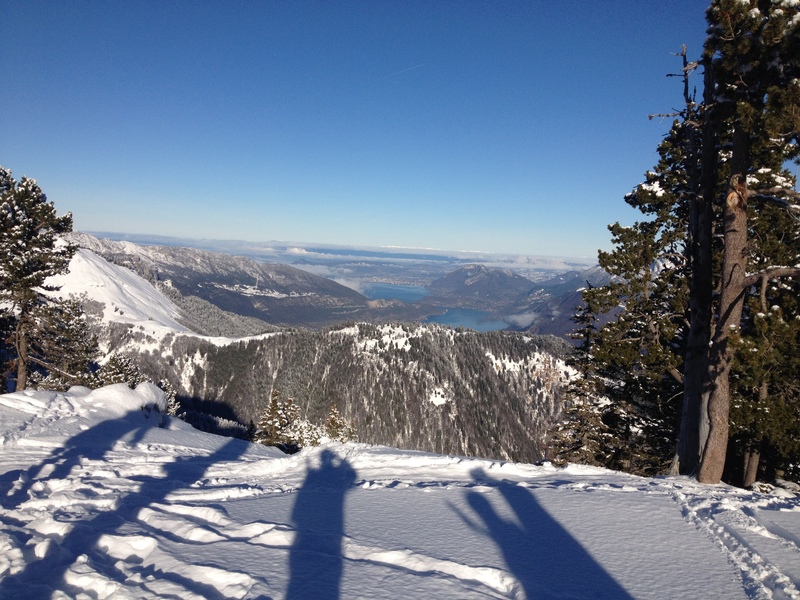 Situated only 1 hour from Annecy. The layout is functional and well thought out for both private and corporate groups. The living and dining area is based on the first floor with sleeping facilities/bathrooms etc. below. The living area provides both a cozy atmosphere, with leather sofas and fur throws to nestle up on in front of a fire. The large dining area effortlessly seats wonderful dinner parties. Three dormitories provide comfortable sleeping facilities for 16 people with a shared bathroom and toilet. (This is the only down side, one indoor toilet resulted in a little accident from a wee one, when a member of our group was already on the toilet! I won’t go into détails!)) You even have the option of unwinding in the most amazing barrel shaped sauna looking down over the valley or star counting in the hot tub on the balcony. What better way to celebrate our New Year with family and close friends! A nice get together. 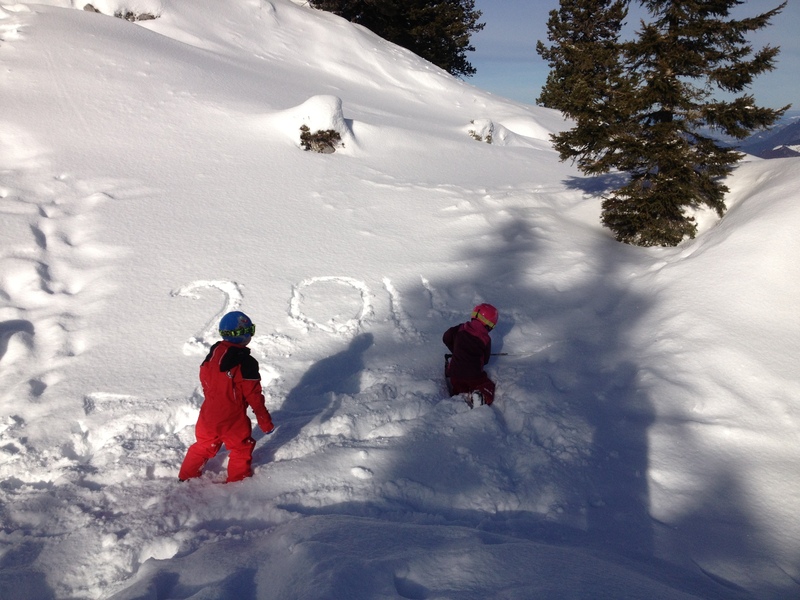 We decided to do something really special and stay in this luxury mountain refuge with family, close friends and a mini hoard of kids: 7 in total ranging from 2 to 21! 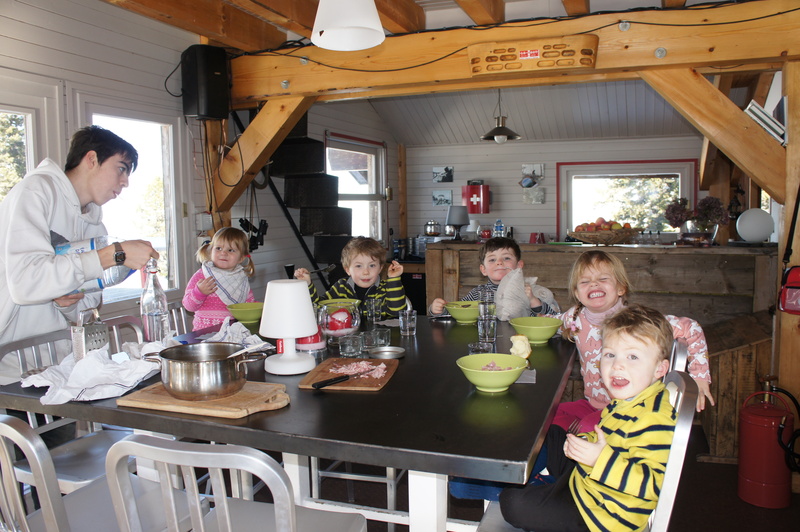 Given however, that there were 5 under 5’s, we took the self-catering option, with someone just to help us with the necessities – keeping the fire lit, warming the hot tub and sauna and showing us round! You know those bare necessities in a luxury refuge! We had decided to head up late afternoon for our first night. We transported kids, comforters (life size tiger included), toys, bags and food up on the chairlift from the bottom of la Sambuy. Everyone was super helpful and it was much easier than anticipated. We were greeted by a roaring fire, hot chocolates and cake…need I say anymore. The tone was set! Each family was designated their own dormitory and much excitement was had settling in! We even had our names on the doors! 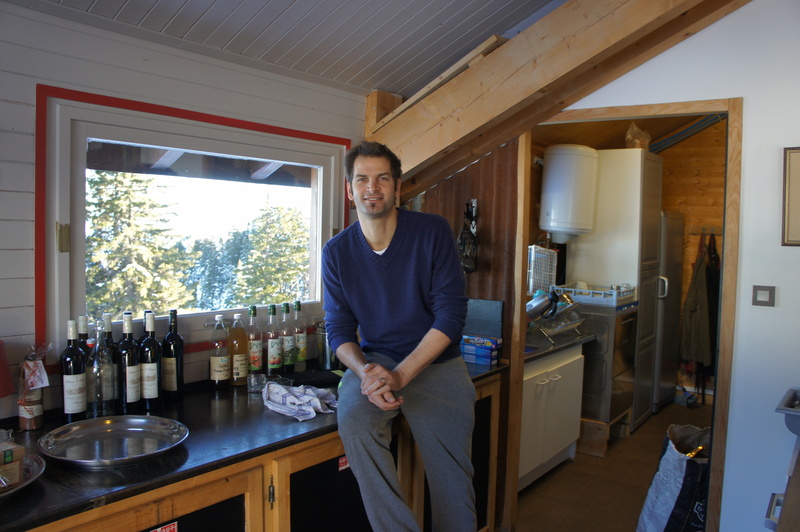 The kitchen facilities were good and well stocked. All the basic necessities we could need were there (olive oil, milk, coffee, herbs, spices etc.) and we had brought enough food to last for our four day adventure (Being super organized 😉 we had a meal plan in place and had precooked a few meals in advance, so we could relax and enjoy ourselves! We soon found our way around and it has to be said, the professional 6 minute dishwasher was much appreciated (how times change , I never would have thought I’d be coveting such an item!! )…everyone now wants one for their own homes!! Time flew by. 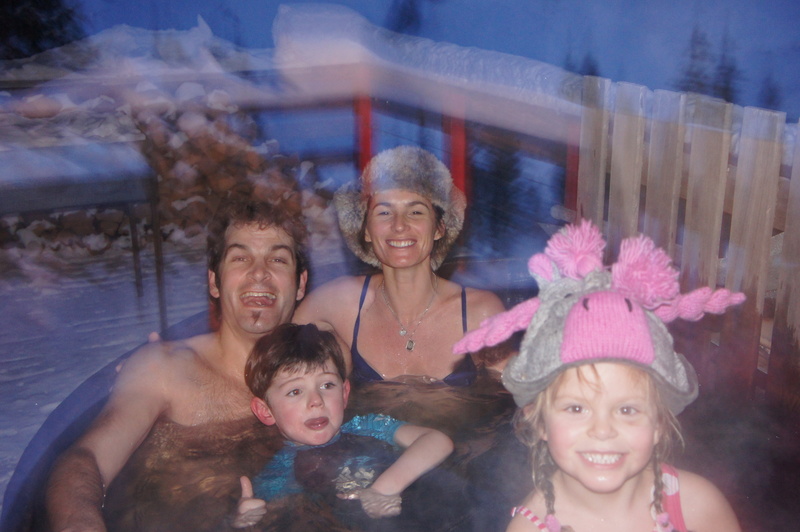 Our daytimes were filled with numerous activities from playing the snow outside the refuge with the little ones – sledging, building igloos (putting gloves back on) and going on snow adventures into the unknown 😉 in knee deep snow and skiing to going on the super duper toboggan at the bottom of the resort. 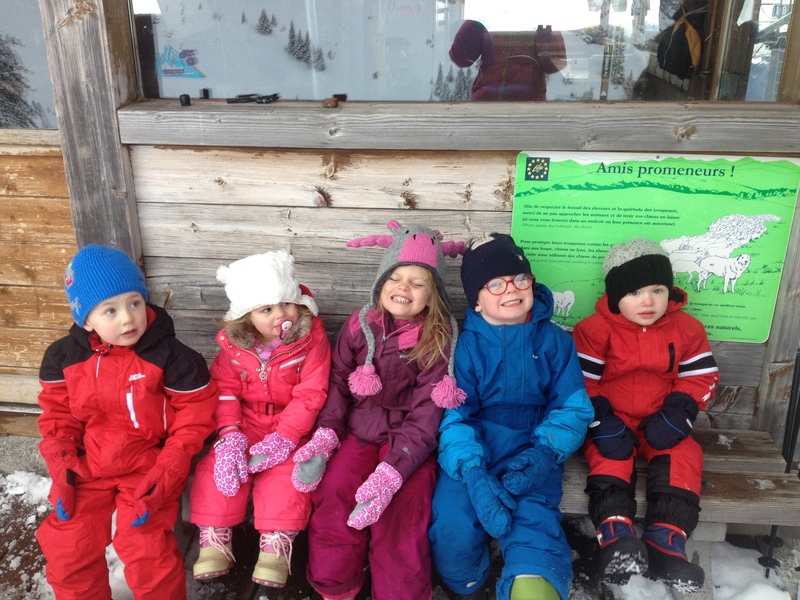 An all season toboggan for kids from 4 onwards, where you can slide 600m downhill, with 9 turns and 3 jumps. The toboggan has an integrated braking system and safety belts, so you can enjoy sliding down safely at a speed which can reach 35 km/h. The small ones are accompanied by adults and needless to say the kids loved this! Combined with the chairlift down and the obligatory hot chocolate afterwards this was a full afternoon activity! 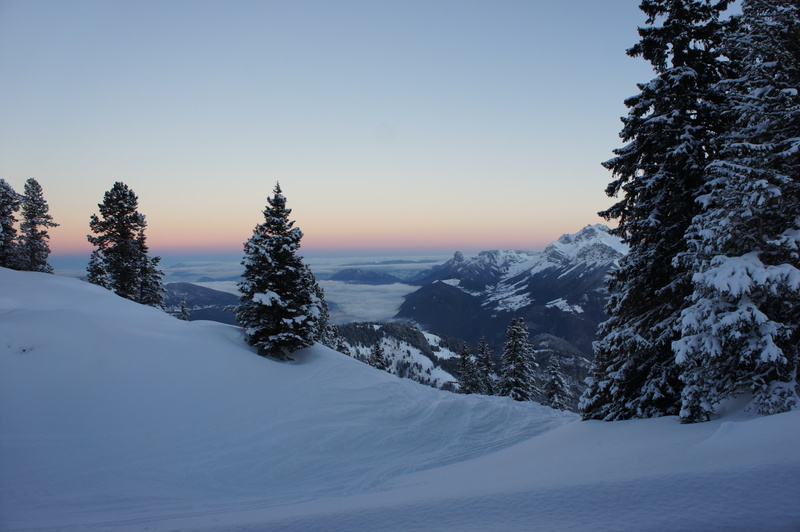 Although a very small resort the skiing is varied and fun and if its snows (which it did) there are a few cheeky off piste variants. The ski touring and snow shoeing options seemed fabulous and very popular too. I rather enviously watched as my Dad and his girlfiend (sporty grandparents) skinned up the back country behind the refuge and skied back down…!! 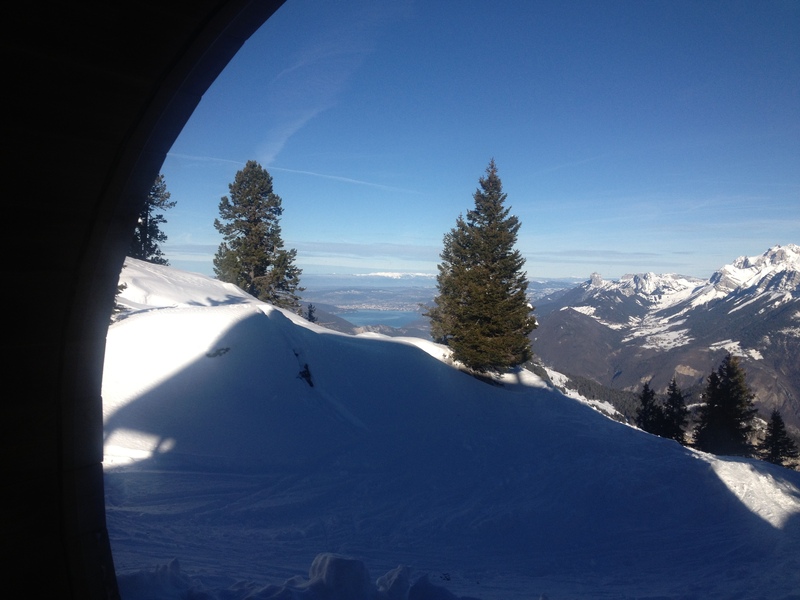 Everyone managed a hot tub session, which was truly magical (even with my daughter clambering all over me) and most of managed a sauna, in which I’m pretty sure is the sauna with one of the best, if not the best view in the Alps. Once the little ones were in bed us adults enjoyed our hearty dinners and the delights of refuge life – relaxing with good company, good food and good wine! What can I say apart from I want to go back next year!